Commercial kitchen design company with 30 year's experience specifying catering equipment - specialists in manufacturing commercial induction range cookers. Commercial kitchen design and installation throughout the UK - catering design consultants with a track record in designing sustainable commercial catering kitchens. British manufacturers with over 30 year's experience in manufacturing stainless steel catering equipment - specialising in the production of commercial induction range cookers. Commercial catering equipment suppliers of appliances suitable for restaurants and professional kitchens - specialists in energy efficient catering kitchen equipment. Engineers qualified and experienced in commercial kitchen installations - commercial kitchen fitters for single appliances and complete commercial kitchens. Good commercial kitchen design requires great planning. Target's commercial kitchen designers will guide you through, from the initial design process to complete kitchen installation. Working with you, Target's commercial kitchen design consultants can help overcome any hurdles in order to create an ergonomic, energy efficient and sustainable catering kitchen design that is effective for you. Standard and bespoke quality commercial induction range cookers designed and manufactured in the UK at Target's factory based in Gloucester. Target commercial kitchen extraction systems designed, manufactured and installed to meet BESA kitchen ventilation regulations DW-172 for gas, solid fuel and all electric commercial kitchens. All Target's bespoke stainless steel catering equipment is manufactured at the factory in Gloucester. From a single stainless steel table to commercial kitchen furniture to suit all catering kitchens. All Target's stainless catering equipment is rigorously quality control tested prior to delivery and installation. 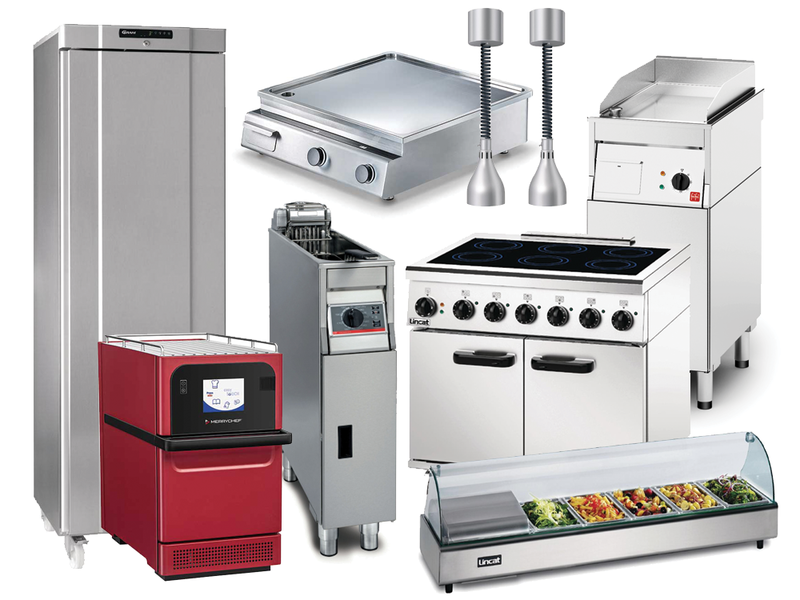 Target supply commercial catering equipment from all leading manufacturers for the foodservice industry. As Carbon Trust accredited commercial catering equipment suppliers, Target specialise in energy efficient catering equipment and are able to advise on the most efficient equipment on the market. The type, amount and size of catering equipment needed will depend on the menu you are providing the situation of the equipment and the power supply available. Advice on the best equipment to suit your professional kitchen can be provided by Target at the design stage or if you already have a design and just require catering equipment supply and installation, Target can provide you with a competitive quote. Looking to switch to energy efficient catering kitchen equipment? Visit us on stand K29 at this year’s Commercial Kitchen show at Birmingham NEC on the 4th and 5th of June. A visit to the Target Innovation Centre is a must for anyone who shares our passion for innovative commercial cooking equipment and wants to learn more. Complete with the latest commercial induction hobs, ranges and ovens, trial for yourself or let one of our Chef Ambassadors demonstrate the benefits of investing in the latest commercial kithchen equipment.